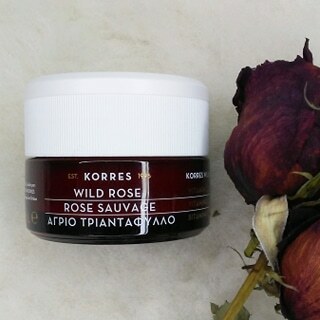 The Korres Wild Rose 24-hr moisturizer is a water-based cream containing vitamin C that brightens and hydrates the skin. It contains 90.8% natural ingredients. 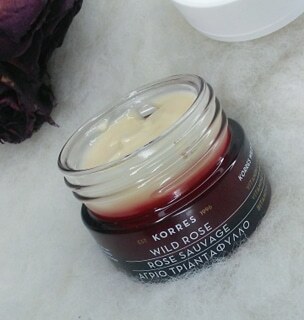 Wild Rose oil is the main ingredient in all of the products in the wild rose range. 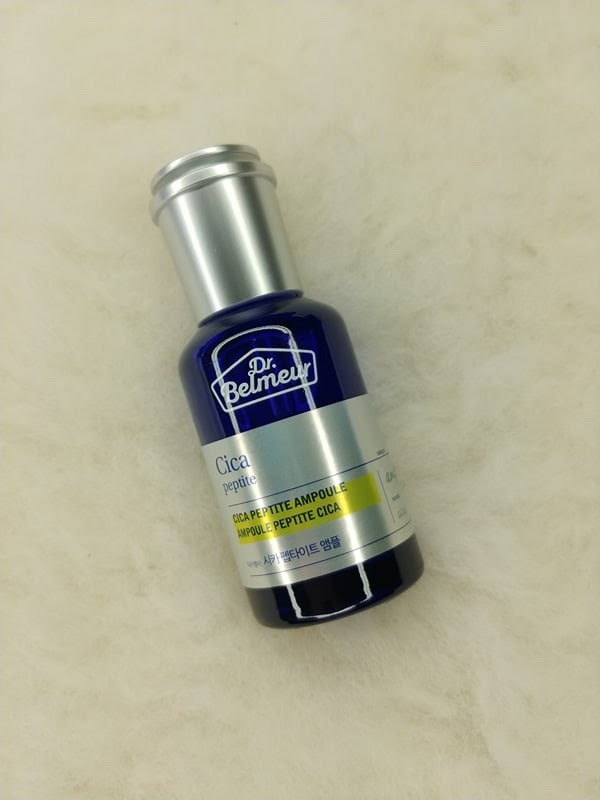 This moisturizer brightens the skin and helps with the appearance of fine lines and evens skin tones with the help of vitamin c and turmeric extract. One of my favourite things about Korres and how simple yet high quality the packaging is. I love that the jar is glass, I always find that products seem to last better when they are in glass rather than plastic. The jar being glass and the lid being plastic makes this container 100% recyclable. I love the texture of this product. It's a light weight formula but the hydration is leaves is nothing but light weight. I apply this moisturizer to my face and neck after my cleansing routine every morning and night. It absorbs fast without leaving my skin feeling sticky. It helps hydrate even my extremely dry skin. 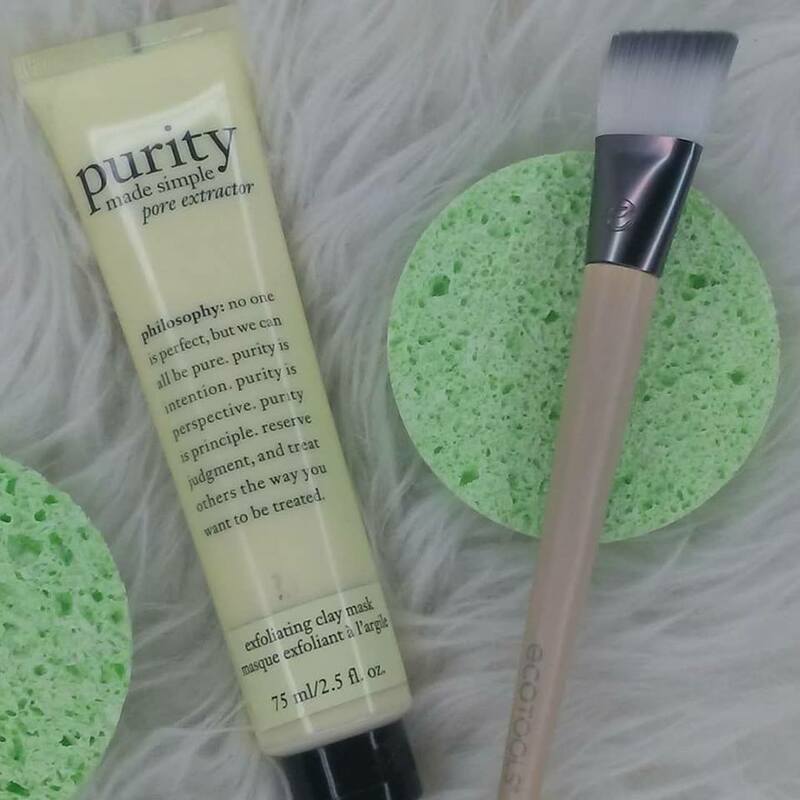 This product is also cruelty free & vegan. My final thought is this is an awesome high quality moisturizer without the extravagant price. The Face Shop came out with a new S.O.S Winter box featuring one of their top skin care lines, Dr Belmeur. 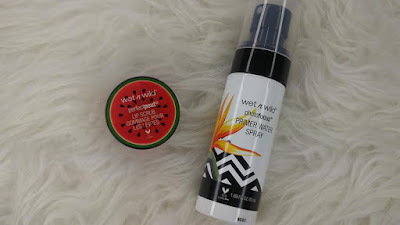 I was sent these skincare products to try out and I've been loving them so much. All of the products I received are geared towards Dry/Normal skin, so keep that in mind. My skin gets really dry and dehydrated in the winter time so anything that can help my dull winter skin is a must try for me. 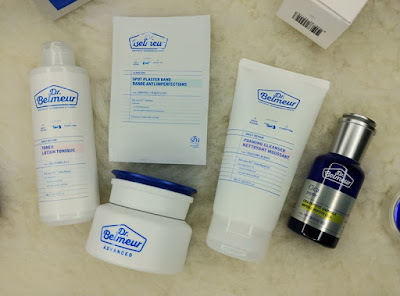 The Dr. Belmeur S.O.S Winter box for Dry/Normal skin comes with 5 products; Cica Recovery cream, foaming cleanser, daily toner, cica peptide ampoule & a spot plaster band. 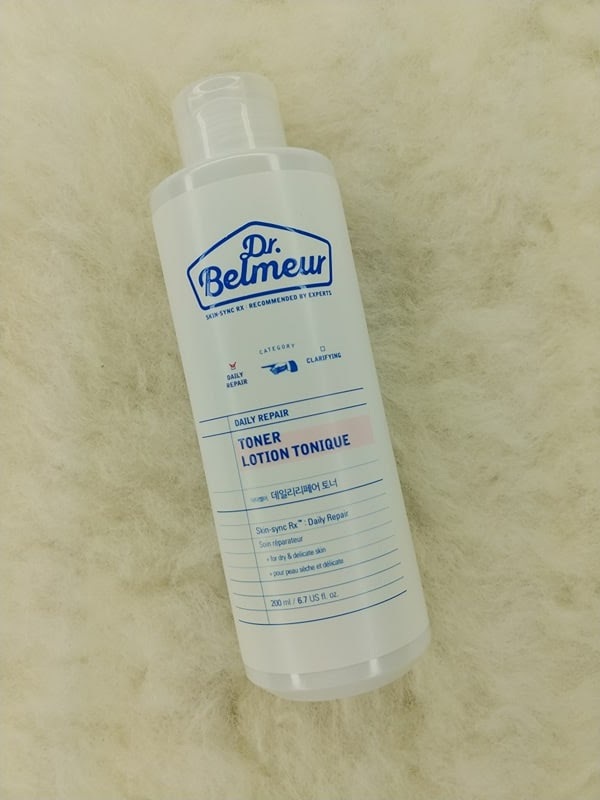 Dr. Belmeur is a skincare brand that contains mild plant-based ingredients that's good for all skin types including sensitive skin. 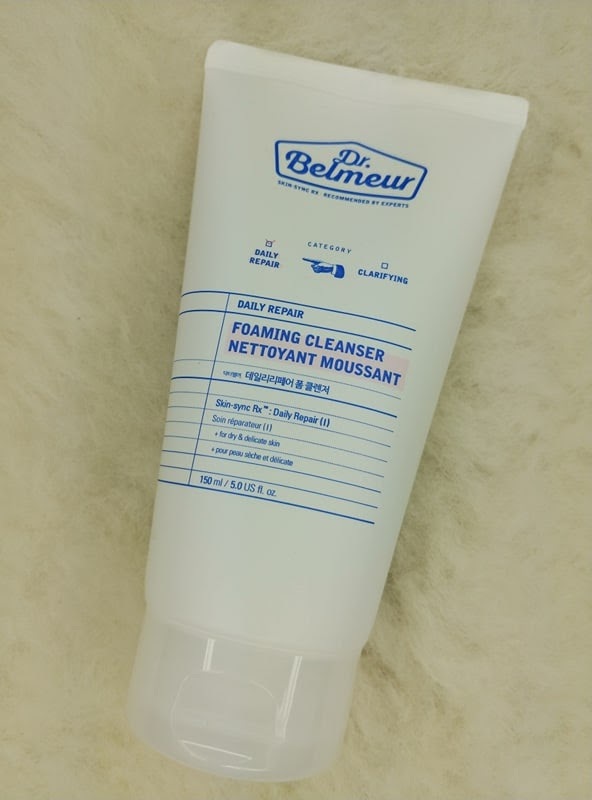 The daily repair foaming cleanser is a super gentle foam cleanser that's perfect for dry, irritated skin. I find my skin is more sensitive and irritated in the drier months and I found that this cleanser felt so nice on my skin. My skin felt like it was being cleaned but not stripped. This cleanser helped with my irritation. It's a product I will continue to use in the cold months. 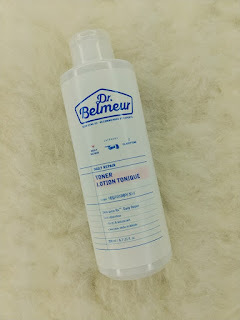 I love this toner because it not only tones, calms sensitive skin but it also boosts moisture. Most toners burn my skin a little but this one didn't. It's formulated with a minimum of potential fragrance allergens so it's less likely to cause irritation. One thing I really enjoy about this toner is the smell. It's a very subtle smell but it's one of my favourites. It's a very light and clean smell, something that I look for in skin products. The Cica Peptide ampoule contains ingredients that all dry skinned people will benefit from. It contains super moisturizing ingredients like; Glycerin, panthenol, beta-glucan and butylene glycol. It also contains soothing and brightening ingredients. This product is meant to be applied to the skin after a toner. I love the smell of this, it's a fresh smell without being overpowering. That seems to be a trend in this line. 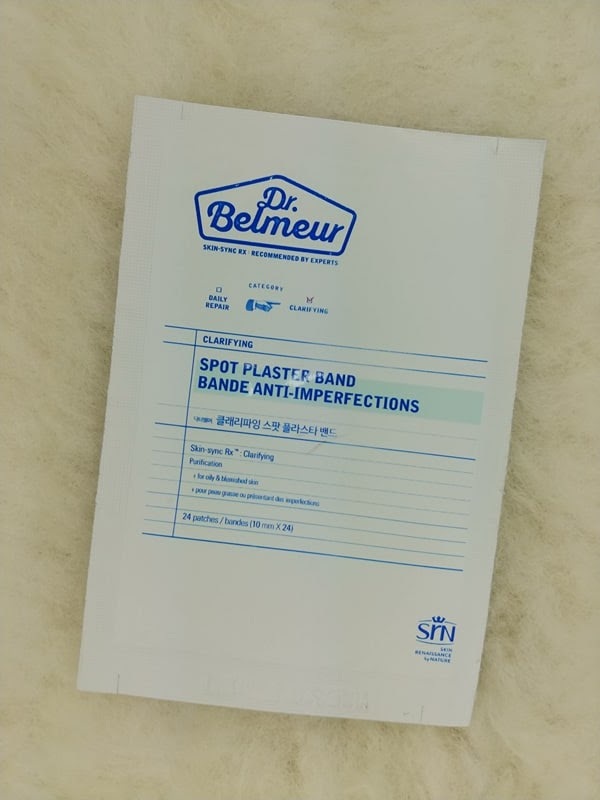 Lastly, the Spot Plastic Band. I first tried out a similar product like this from Corsx (I wrote a breif review in a previous blog post) that I really enjoyed. I love this product. They are these little sticker like patches you place on top of stubborn pimples. They contain tea tree oil which is a natural antiseptic which is great at treating wounds. I apply these patches over my acne at night and when I wake up I notice the pimples seem to be smaller and I can see the stuff that has been extracted from my pimples. Kinda gross, but cool. I've already purchased these from The Face Shop and will continue to use these. This past year has been the year of Pixi Beauty for me. 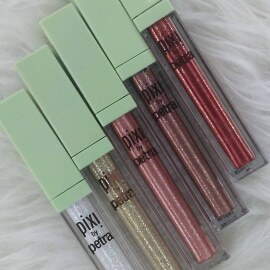 I've been sent and also purchased so many amazing Pixi products that i've been able to test and try out. I honestly can't really complain about many of the products I've tried from the line. I think the quality of the products is close to high end. 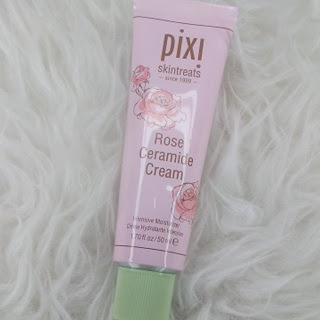 I wanted to share my favourite Pixi Beauty products with you but there's so many, I narrowed it down to my top 5. 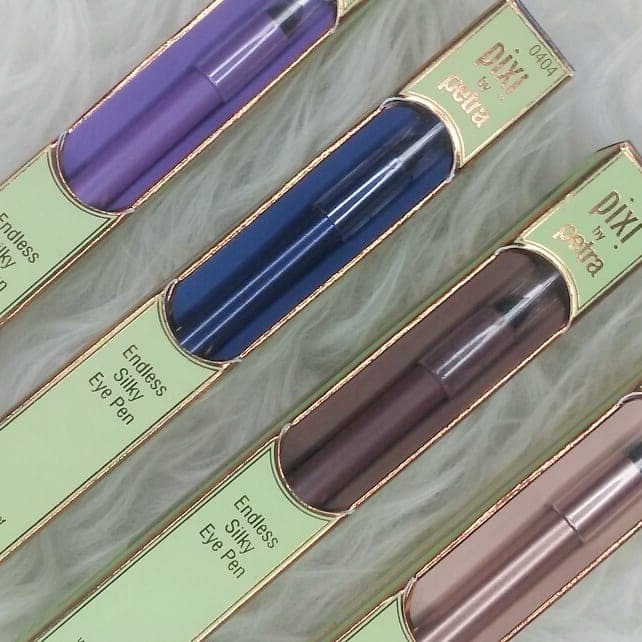 First up are the Pixi Endless Silky Eye Pens. 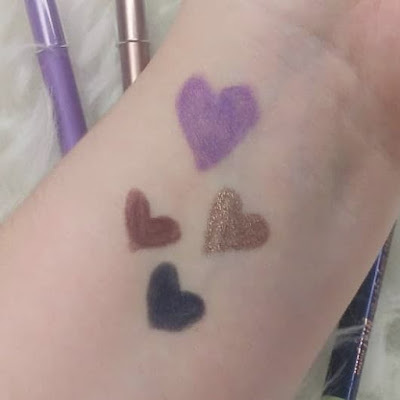 I got four of these eye pens; MatteMulberry, RoseGold, BlackBlue & VelvetViolet. I love these eyeliners. 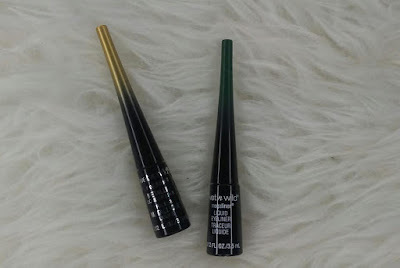 They are super creamy and glide on the eyes and tightline beautifully. They are super pigmented and the colour you see is the colour you get. They blend nice and are great for a pop of colour on any eye look or used by themselves. The Pixi Liquid Fairy lights are such a creative and easy product to use. 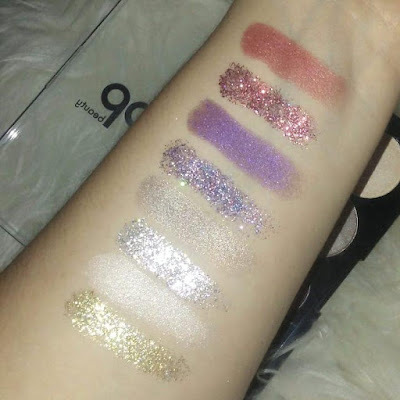 These are liquid eyeshadows that reflect light. The sparkles in these are beautiful. I own five of the liquid fairy lights but there are seven to choose from. 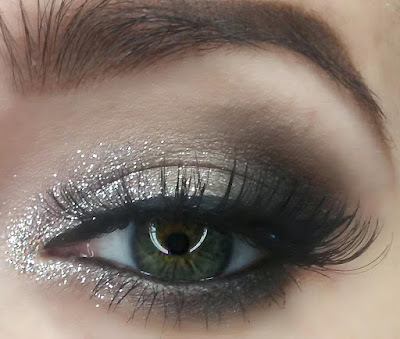 My favourite way to use this product is by adding some shimmer/glitter to the inner corner of my eye. 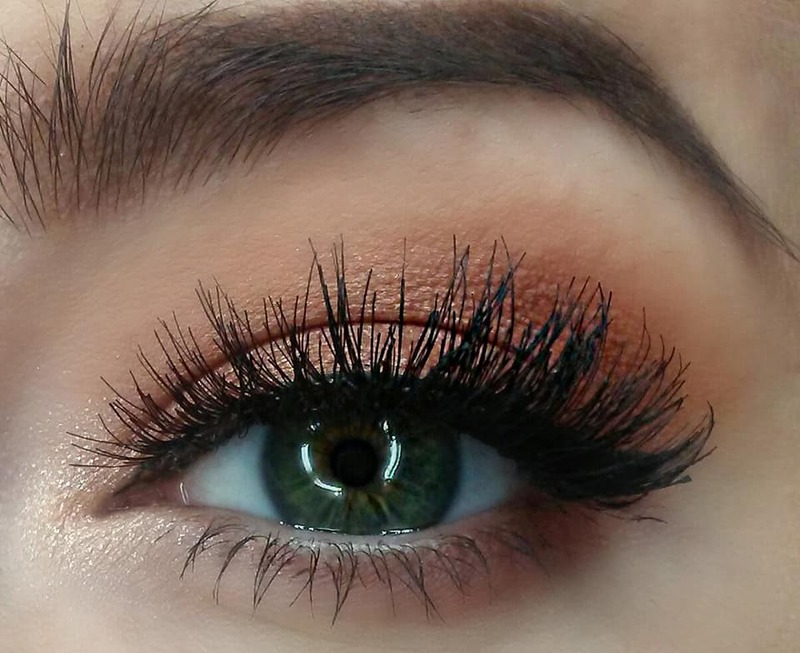 It instantly makes an eye look glam. The best way to apply these is by adding a little bit of product on the finger and patting it in. 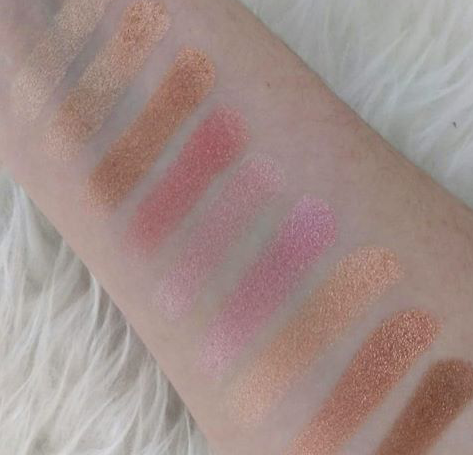 Youtuber Dulce Candy and Pixi Beauty collaborated and come out with the Cafe con Dulce Palette. 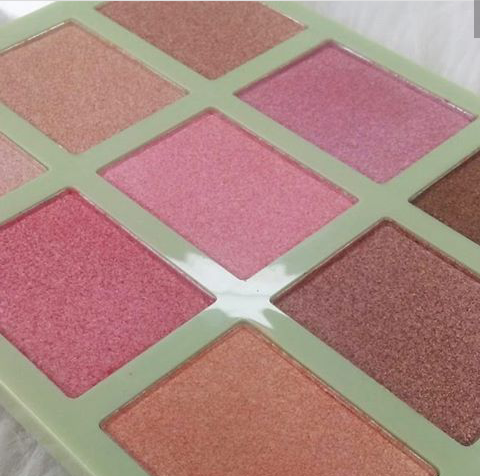 It's a palette containing 9 multi-use shades. 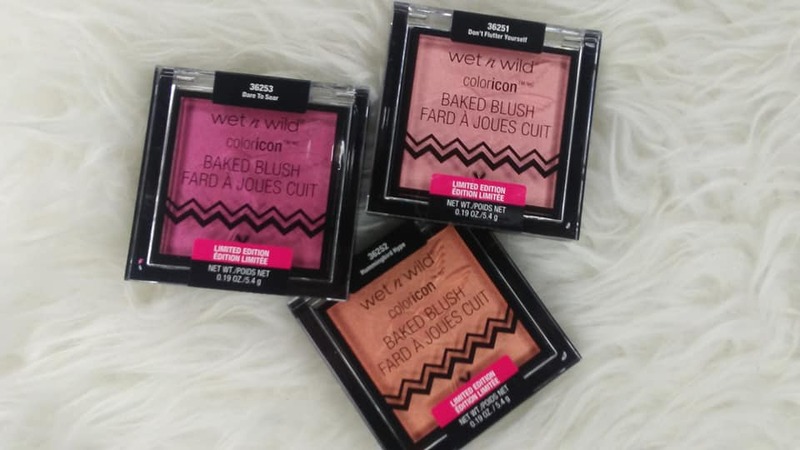 These shades can be used on the lids, checks or complexion. My favourite way to use these powders are on the lids as eye shadows or on my checks as a subtle highlight. 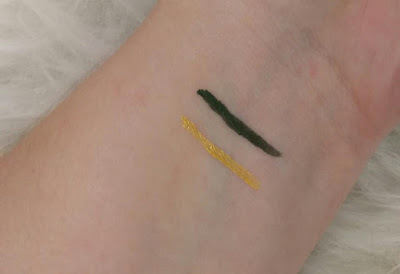 These shades are pigmented, blend like butter and all compliment eachother for a various amount of looks. These can be applied with the finger or a makeup brush. For the past two years at Christmas time I've been gifted a personalized bottle of the Glow Tonic. 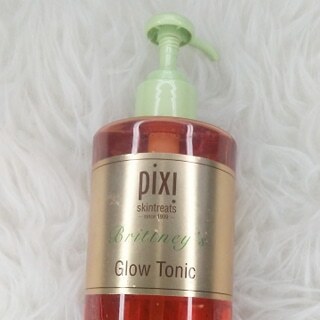 The Glow Tonic toner is a radiance enhancing toner that helps remove all impurities. It contains 5% glycolic acid that helps exfoliate and leaves pores feeling more purified. I love using this product after I cleanse my face in both the am and pm. I use it as a toner before my moisturizer. This is one of my staple skin care products. 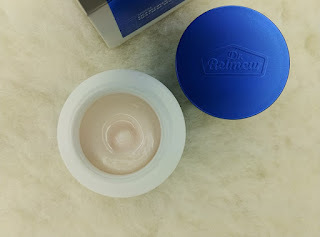 The last product on this list is the Rose Ceramide Cream. This product is a ultra rich moisturizer. 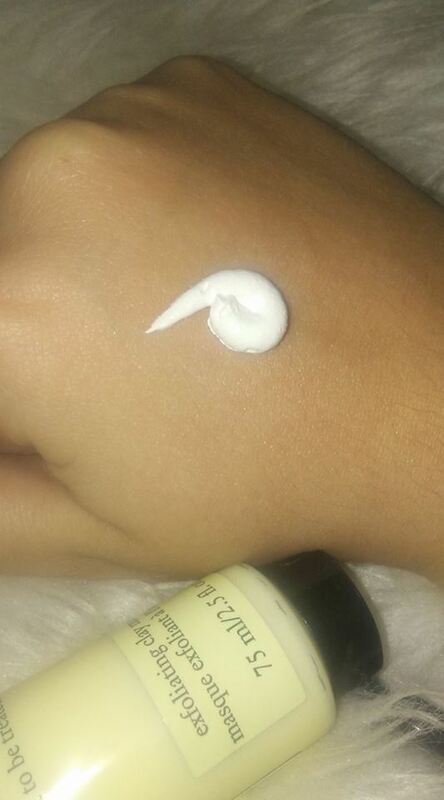 It's for really dry skin that needs more moisture than what a regular cream can give. I love this product in the winter months because my skin gets severely dry. After use, I notice my skin feels and looks more supple. This product acts as a time release to get my skin feeling less dry all day. It also smells great and the packaging is super cute. Although I added these 5 items to my list, there are still tons of Pixi products that I love. If you want to see a review on any product by Pixi in particular just let me know! I was sent over the Pop Beauty Twinkle Texture palette and I was super eager and excited to test it out. The palette contains 4 shimmer shdows and 4 pressed glitter shadows. What I like about this palette is the selection of colours it contains. It has great pairings along with colours that are perfect to mix and match. The shimmer shadows are really creamy and easy to blend. 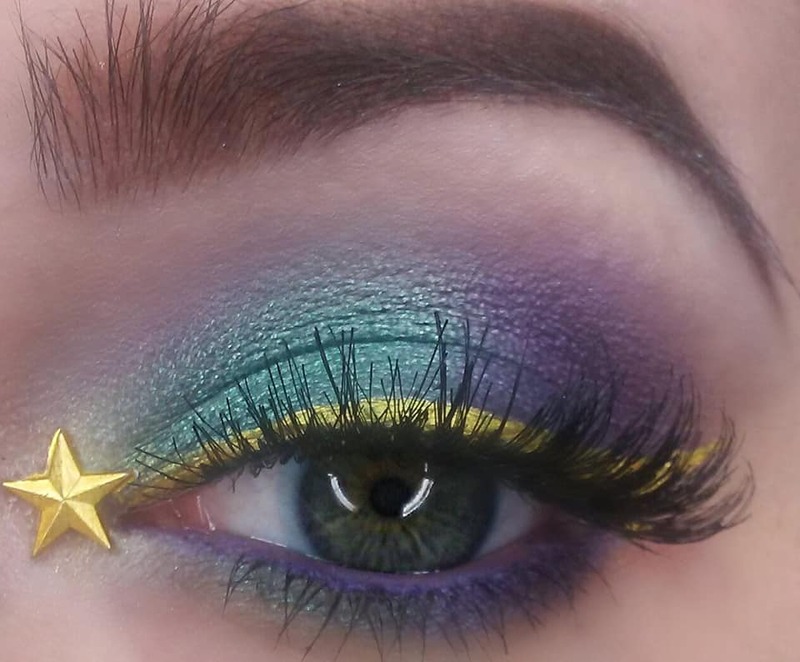 The glitter shadows contain alot of fallout so they don't do well with blending but apply great when patting on with a finger. Overall, I like the palette. It's on the messy side and isn't anything special but if you're looking for pressed glitters on the lower priced end I would pick up this palette. Topbox Circle sent me a bunch of L'oreal products to test out. 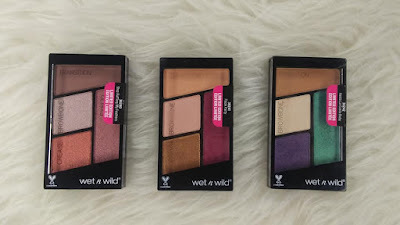 I was super excited to test out this palette because I usually am not a huge fan of drugstore eye shadow palettes but this one changed my opinion of the quality you can get from the drugstore. The Paradise Enchanted Eye Shadow Palette is a scented palette that contains 12 eye shadows. 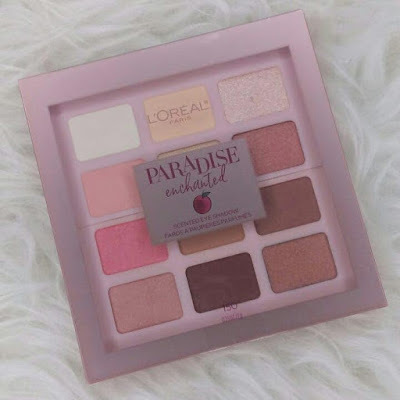 It is infused with a subtle fruit scent that isn't close to being too overpowering like the Too Faced Peach products. Those are too highly scented in my opinion. 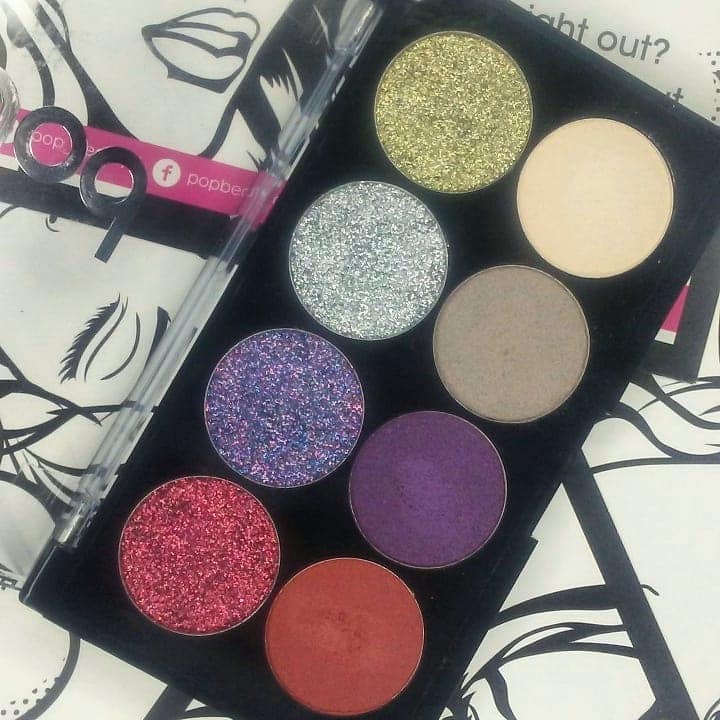 The palette comes with 1 satin, 6 shimmers and 5 matte eye shadows. 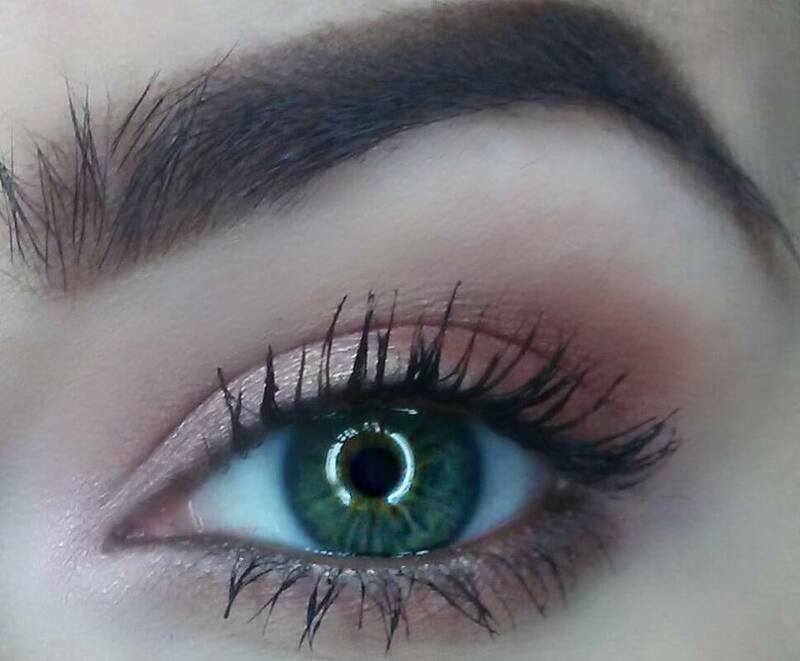 I think the mattes come off a little on the chalky side, but they still blend and work great in my opinion. 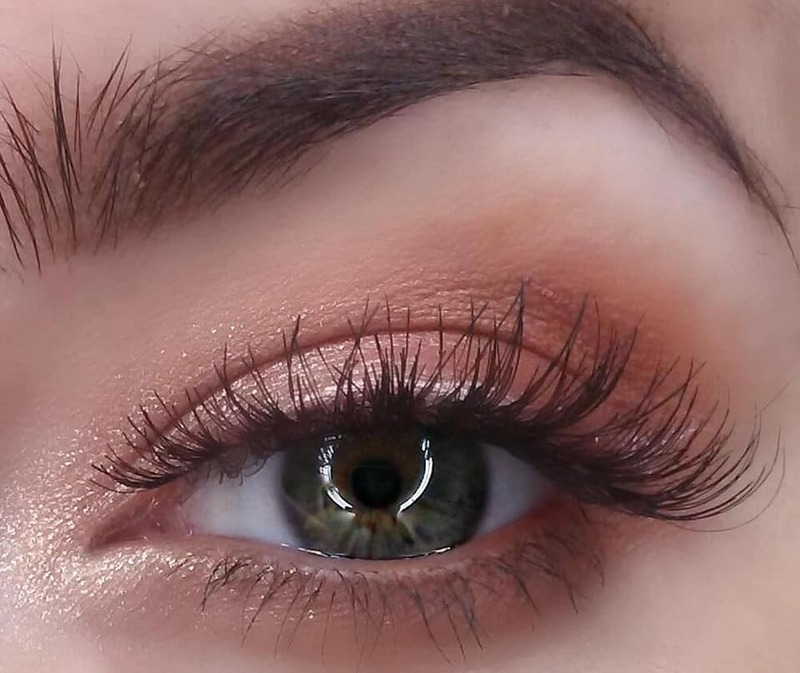 The shimmers are my favourite, they range from subtle to intense so depending on your mood you're able to create an eye shadow look geared towards what you want. The packaging isn't as cheap as I thought it would be. It's a pretty thick hard plastic and let me tell you, i'm pretty rough with my stuff. I dropped this palette about 10 times already and it's still in perfect condition. 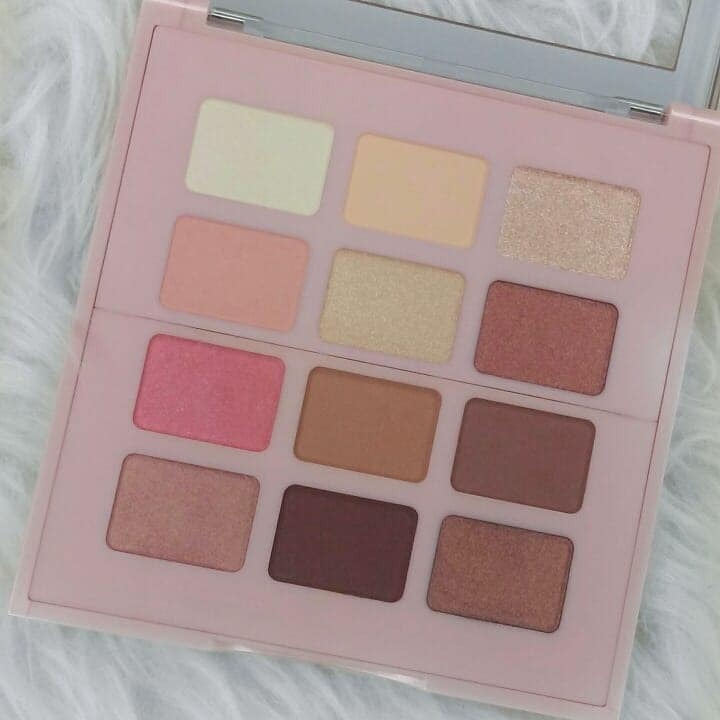 This palette retails for $22.99 CAD and is available at your local drugstore. 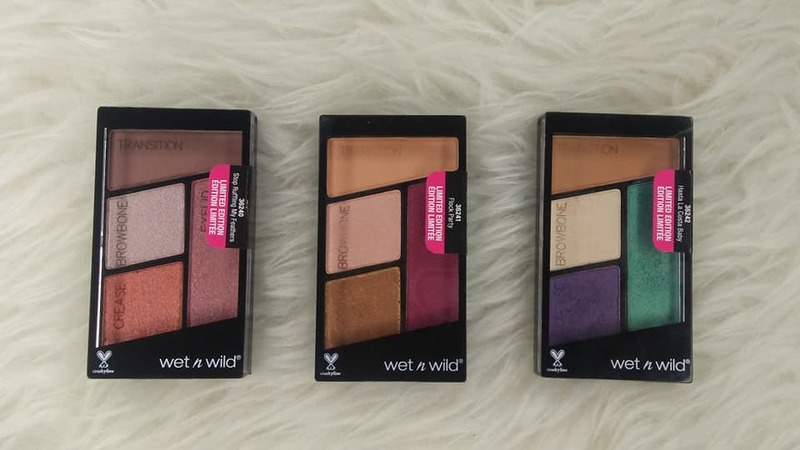 If you pick up this palette, let me know your thoughts! 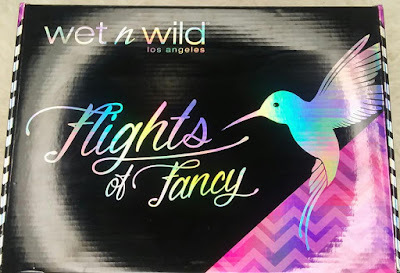 I received a PR Package of Wet n Wilds Limited Edition Flights of Fancy Collection. This collection is inspired by gorgeous hummingbirds and all the beautiful colours they consist of. The collection is a box filled with cruelty free products from Wet n Wild. 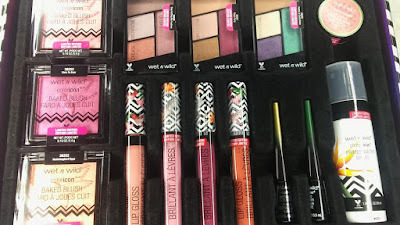 It contains 4 color icon lip glosses, 3 color icon baked blushes, 3 color icon eyeshadow quads, 2 megaliner liquid eyeliners, a photo focus primer water spray and a perfect pout lip scrub. The Flights of Fancy collection retails for $34.99 USD on their website but all products can be purchased individually. 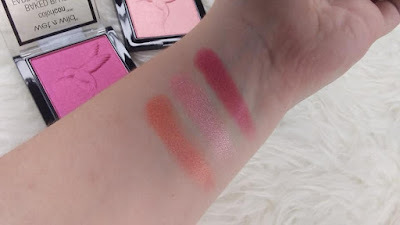 The eyeshadow quads were the products I was most excited for. I've always been a fan of wet n wild eyeshadows and how creamy and pigmented they are. These quads definitely don't disappoint. All three are gorgeous palettes inspired by the feathers by hummingbirds. You can create looks using all the colours in the quads (there's a number quide) or use whatever colours you want, of course. These retail for $2.99 USD. The Megaliners are probably my least favourite products in the collection. 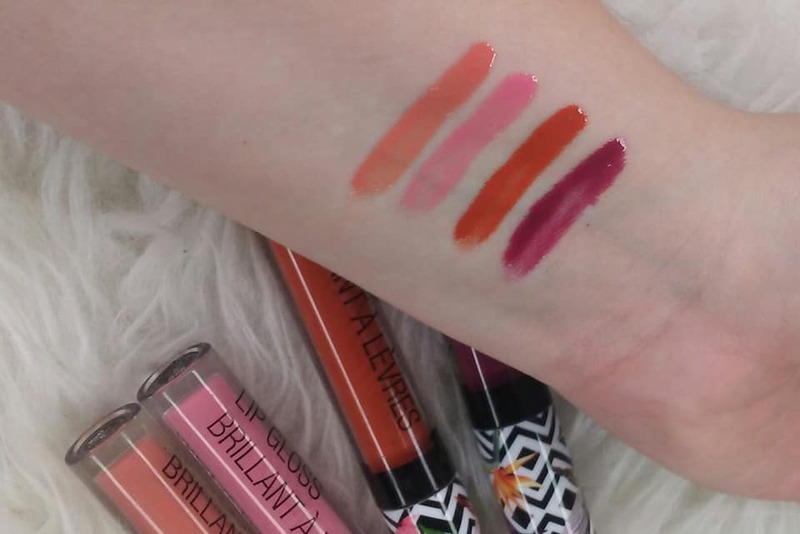 I love the colours and the idea of these but they apply quite patchy and it's hard to build up an opaque colour without it flaking. 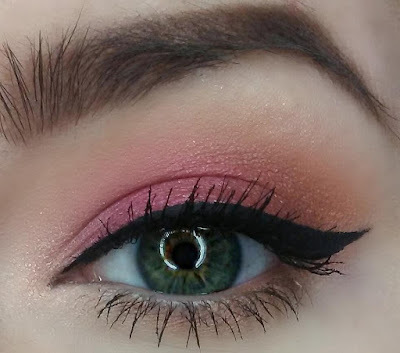 I was able to make the Gilded wings eyeliner work in one of my eyelooks (see above) but it look a lot of layering and patience. I would pass on these. They retail for $2.99 USD. 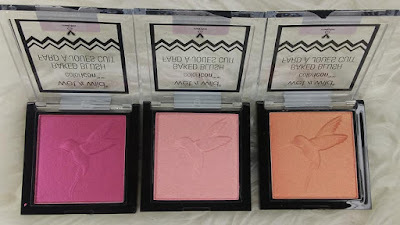 The most eye catching product in the collection (for me personally) is the Color Icon Baked Blush. This collection has three different blushes, each with a beautiful raised hummingbird in the blush itself. 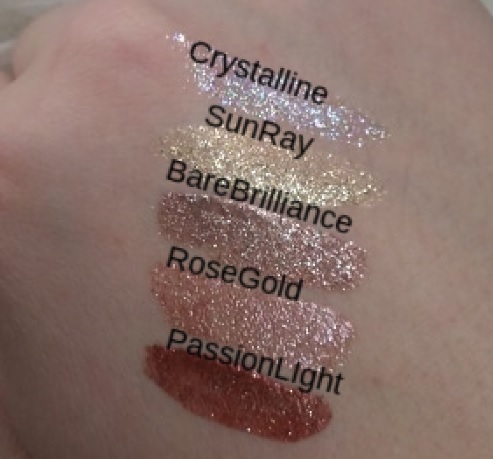 They are all shimmery made out of micro-fine pearl pigments. 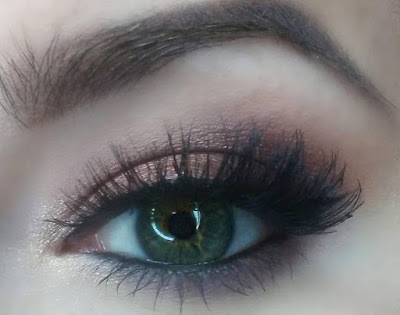 They are pretty as a blush, blush topper or even look beautiful all over the lid. The Lip Glosses are stunning. All the colours are vibrant and perfect for the summer months! 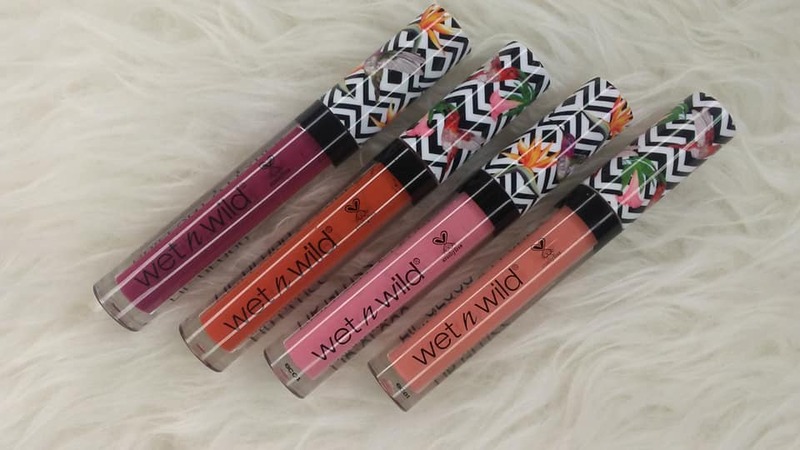 The collection comes with 4 different coloured lip glosses. I love that it contains two colours more on the neutral side along with two bright colours. These glosses are super pigmented and moisturizing. They contain Vitamin E and Murumuru Seed butter to keep lips from feeling dry. The Photo Focus Primer Water Spray $4.99 USD is a great primer as well as a setting spray. I like to spray it on my skin before and after makeup application. I've also been reaching for it during the day to refreshing my face during these hot summer months. Lastly is the Perfect Pout lip scrub $2.99 USD comes in two different flavors; Citrus Elixir and Pecker Up. The one that comes in the collection is Pecker Up, it's a sweet lip scrub made from extra fine sugar. It's a little harsh on the lips but does a great way with buffing away dry skin on the lips & it tastes amazing! I attended a taping of Cityline with Dave Lackie and was surprisingly gifted some new skin care from Philosophy. 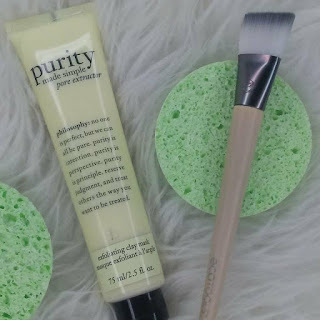 I wanted to jump on here and write a quick review of the Pore Extractor exfoliating clay mask because it's definitely my favourite product from the Philosophy brand! What's unique about this product is that it's a mask and an exfoliater in one. This mask promises to deliver smoother skin, draw out impurities from blackheads while reducing the appearance of pores. 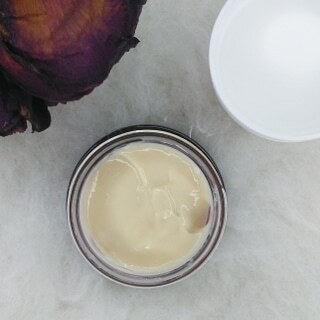 This exfoliating mask is formulated with white Kaolin clay which removes dirt, oil and impurities. It also contains salicylic acid which helps with blackheads and gentle exfoliates that help remove dead skin for a smoother, brighter appearance. This product comes in a squeeze tube and the formula is like a thick paste. It has a strong, clean smell. You apply it on your face like a mask, leave it on until it dries and then rinse. It takes some massaging to get the mask off and that's where the exfoliating comes in. I've been using this mask for awhile now and i'm a huge fan. It is recommened that you use this mask 1-2 times a week. It leaves my skin feeling smoother and looking brighter. I haven't noticed a difference in my blackheads but I can tell that my pores are looking smaller. If you want to pick try this mask you can get it here!